First, can I say that I am so over this rain? I think we've seen the the sun for a total of three hours in the past week. I know I spent four years in Oregon, so I should be used to the rain, but I'm watching the weather forecast right now and it's showing rainclouds all this week too. At least I have lots of indoor hobbies, right? And I may have picked up another one this weekend. Knitting is such a gateway craft for me: it beget spinning, weaving, dying, and now, needlefelting. 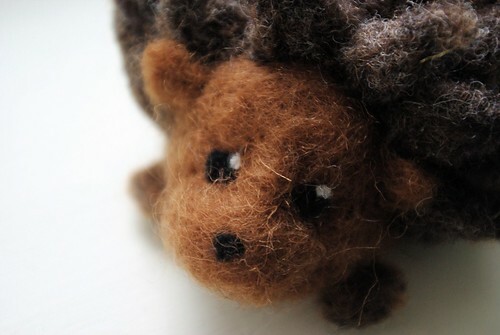 Meet Hedgie, my first needle-felted creation. 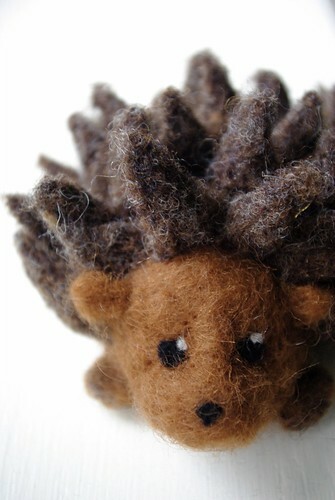 When I saw this class offered at the Fiber Gallery, I knew I had to take it because hedgehogs? So cute!! I found needle-felting to be quite intutive once you get started and I managed to only jab myself in the finger once. 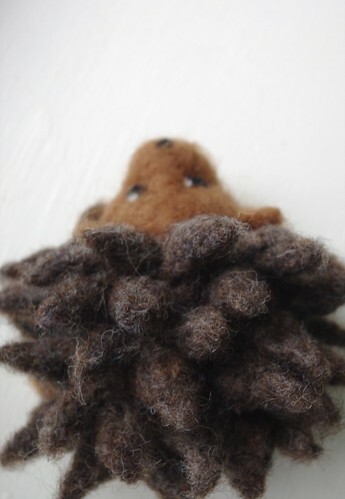 I may have to pick up some more tiny bits of roving and make some more felty-friends! !